We take pride in our beautiful and modern dental office and it’s pleasant surroundings. We strive to create an environment that is comfortable and modern. Our office goal is to create an atmosphere that maximizes comfort and makes you feel special. We strive to pamper our patients before, during and after care by creating an inviting atmosphere where patients feel at ease. Once you arrive for your appointment, we want you to feel comfortable during your visit. Relaxing music throughout the office. Private consultation area to discuss your treatment and financial arrangements. The comfort of blankets and neck pillows to help you completely relax. Intraoral cameras so you can see what we see. iPads to listen to internet radio. 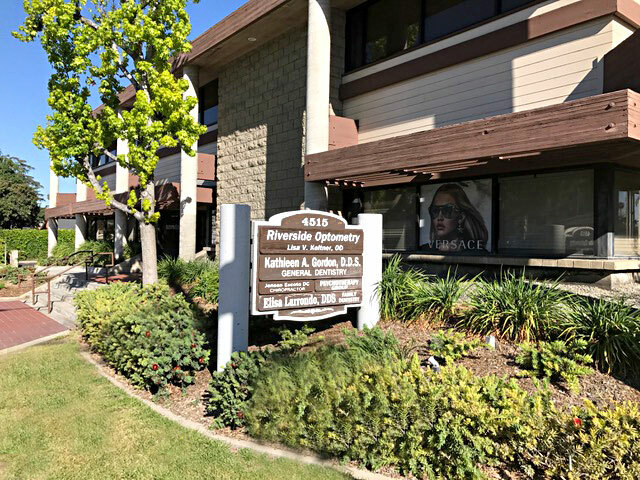 Our dental office is located at 4515 Central Avenue, Suite 103, Riverside, CA 92506. Take a virtual office tour.